For the first article of the #DidYouKnow series in 2019, a focus on temperature controlled supply chains was made. What are the main terms? 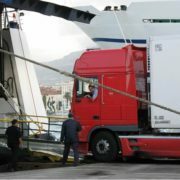 What is refrigerated transport and why does it need specialized care? What kind of specialized equipment / procedures would be needed for a safe and efficient supply chain? In this post we will explore some of the main aspects of this type of transport. The equipment used to transport food items requires a higher level of inspection and maintenance than conventional aspects. Equipment needs to be clean, sealed and otherwise suitable for the transport of food items. Improper or incomplete cleaning and / or sanitisation practices allow contaminants to spread, and thus merchandise to perish. The responsibility to clean, sanitize and inspect equipment involved in the supply chain applies to all parties involved – shippers, carriers, loaders and receivers. 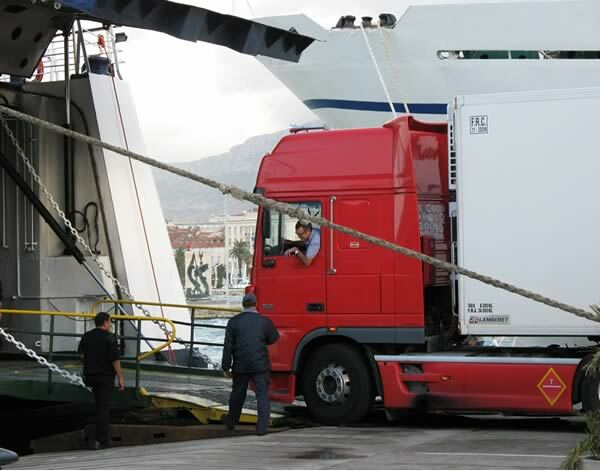 Nevertheless, shippers continue to hold primary responsibility for the sanitary conditions of transport. Generally the different reefer equipment suppliers set the cleaning criteria for all to follow, though occasionally the clients can establish the minimum requirements of cleanliness according to their own quality standards and procedures. Cleanliness prevents bacterial, chemical, and odor contamination of food products. Removing all loose debris and washing or sweeping the floors clean are necessary processes in this transport mode. Certain food products, such as fatty or oily goods including butter and meats, are highly susceptible to strong odor contamination. Fresh fruit, such as apples and bananas, are also susceptible to odor absorption. It is thus better to separate the different food products to avoid cross-contamination. Moreover hauling extremely odorous products such as fish or cabbage require intensive cleaning procedures that will prevent odor contamination of other and future shipments. The production stage of the food being transported (raw vs. finished product; open vs. closed package). Proper airflow throughout the refrigerated box is critical in maintaining good quality products. Poor air distribution is one of the primary causes of product deterioration. When loaded properly, there should be sufficient airflow to maintain cargo temperature throughout the entire cargo space. Physical obstructions or restrictions within the box can cause poor airflow and result in product ‘hot spots,’ contributing to the deterioration of the perishable products. When consolidating a Reefer container it is important to consider the type of merchandise and packaging used. This helps decide the best consolidation pattern for the cargo based on air circulation requirements around or between the products in the load. 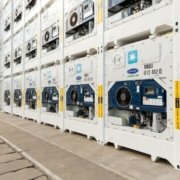 As a general rule, pre-refrigerated frozen cargo only requires airflow around the product, while refrigerated goods, such as fresh fruits and vegetables, require airflow throughout the cargo. This is because refrigerated products generate heat from breathing, which must be eliminated to prevent the cargo from being damaged by temperature changes. It is essential that when stowing a Reefer container the entire floor is covered up to the edge. This ensures a uniform circulation of air around the container. In cases where the cargo does not cover the entire floor, a filler or dunnage is used to cover empty areas. This is also used to cover central panels containing empty spaces between pallets within a consolidated shipment. Correct stowage is extremely important to the carriage of containerized reefer cargo. It is important to know that this is frequently outside of the control of the carrier. Cargo is often received in a sealed container already pre-loaded with a specific cargo. Refrigerated transportation is a method for shipping freight that requires special, temperature controlled vehicles. 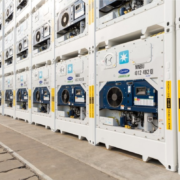 The vehicles transporting the products being shipped have built-in refrigeration systems that keep products at desired temperatures throughout the transportation process. 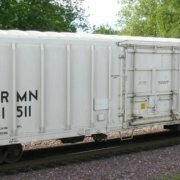 The first rudimentary version of refrigerated transportation was born in the 1800s, when cargo transporters would place ice and salt below temperature-sensitive goods in train cars. Unsurprisingly, this process was not the most efficient and inevitably led to major losses in the value of goods. In the twentieth century more efficient modes of refrigerated transportation were developed, and improvements in technology have given birth to what is now called the cold chain logistics. Intrigued? What to know more?